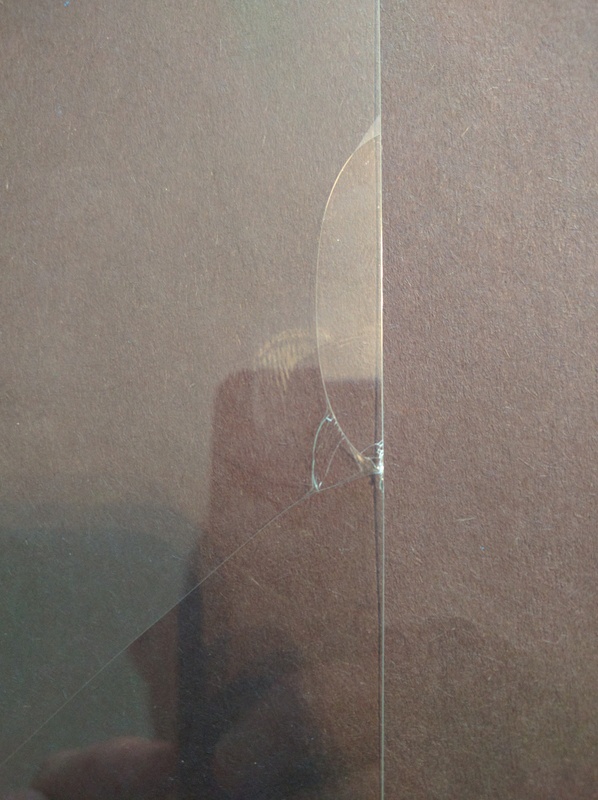 All three screen protectors came with the same basic specs. They were all designed to fit the Nexus 5X, they all claimed to be made from tempered glass, they all were fingerprint and dust resistant, all of them had a hardness rating of 9H which should make them non-scratchable and relatively drop proof. I put all three screen protectors through their paces with the same battery of tests. To test for fingerprint resistance I would use the phone for two minutes and then give the phone to my two-year old daughter for a few minutes and let her flip through some pictures in the gallery. To test the hardness of the screen protector I would take my house key and would apply gentle pressure to it, I would then put it in my pocket and see how it held up against keys, a pen and chapstick. Lastly, I would test the hardness and shatter resistance by dropping the phone from about a foot in the air on to my wooden dinner table and our granite counter top. Check out the results below! 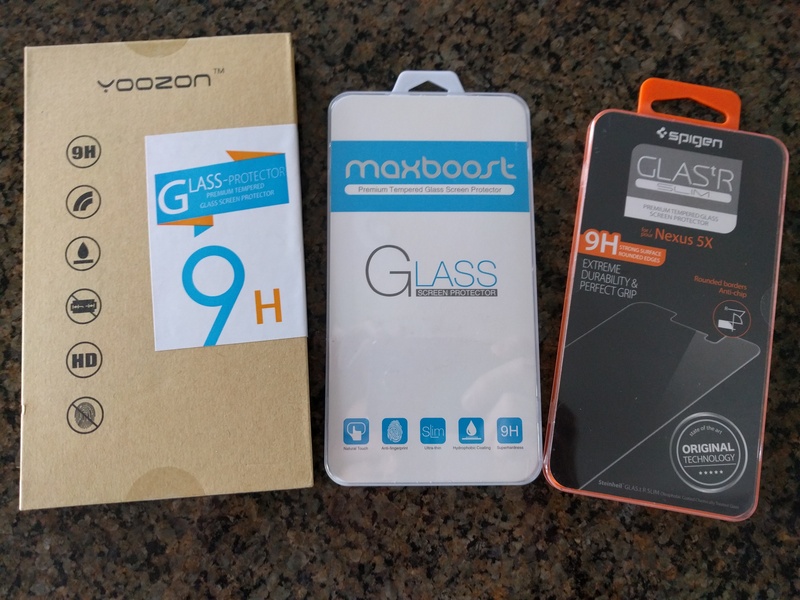 First up we tested the Yoozon Screen Protector. It is currently listed on Amazon for $7.95 (on sale from $19.99). The packaging it came in was very sharp and looked very nice, albeit a little bulky. It came in a cardboard folder with some foam surrounding it and protecting it. The package contained the protector in a foam sleeve, some screen cleaning wipes and then a dust absorbing sticker. I carefully pulled the protector out of the sleeve, thoroughly cleaned off my phone screen and then gently peeled back the plastic backing that covers the adhesive. As I peeled back the adhesive I heard a slight crack and cringed. It wasn’t just a small crack either, it had spidered across the entire protector. For the sake of the review I went ahead and still applied it to my phone. It applied relatively easily and it did so with only a few minor bubbles (where the cracks had spidered). I tested the fingerprint resistance and it only took a few touches before the screen was covered in smudges. They came off easily with a quick wipe down but they came right back as soon as I started using it again. My daughter had the same results. In order to be fair I continued my testing and went on to test the scratch resistance. I was very confused by the results of this test as the screen held up to some pretty brutal testing. As it was already broken I applied more pressure than I did with the other two protectors and there wasn’t even a scratch. There was no more cracking after the multiple drop tests and no damage to the screen of my phone. I can only guess but there must have been something wrong with this particular unit that caused the breaking when I peeled the back off. 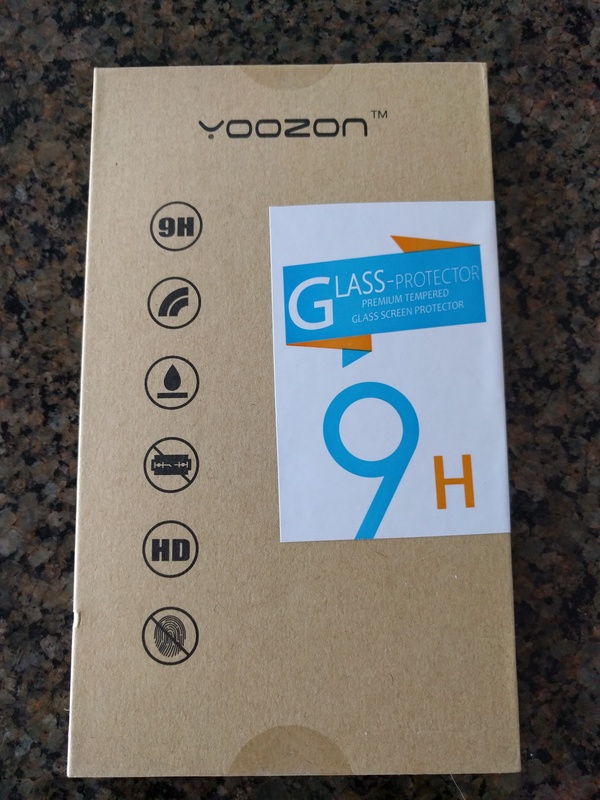 I read one or two reviews on Amazon about the Yoozon screen protector that indicated that although advertised as tempered glass this screen protector is actually plastic. I have no way of confirming that myself but when using it it did feel a little different from the other two I tested. The screen wasn’t as smooth feeling (yes, I’m referring to the areas that were not cracked) and it had a different weight to it than the other two. 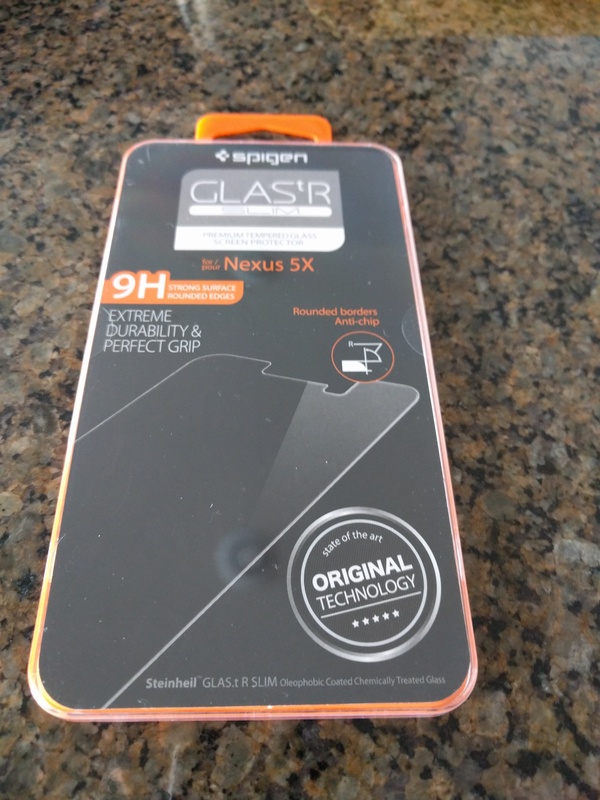 Next up, the Spigen Tempered Glass protector. It is now listed on Amazon at $7.99 (on sale from $34.99). It comes in a nice compact no-frills plastic package. The package contained the screen protector in a plastic sleeve, a microfiber cloth, a wet and dry wipe for cleaning the screen and then a dust removal sticker. It also came with instructions on how to apply the screen protector in the package (this is a big plus for a guy who struggles reading directions, going online to find them would just be too much work!). When it came time to clean the screen the wet wipe was a little too moist and left a lot of water behind but the dry wipe was up to the task and absorbed it all without problem. Even better, there were no streaks left behind! Applying the screen protector was extremely easy. You line it up, plop it down and watch it use the magic of gravity to seal itself to your screen. It needed a little help around the corners getting the bubbles out but it was substantially less than you normally see when applying a screen protector. I tested the fingerprint resistance and this one did amazingly well! There were almost no smudges during my test. During my daughter’s part of the test the only smudge was the result of a poorly timed nose picking (and yes, the phone got cleaned afterwards). The Spigen screen protector held up through my battery of tests and came out without a single scratch or ding to it. In use it was super smooth and felt smoother to me than the actual screen of the Nexus 5X. 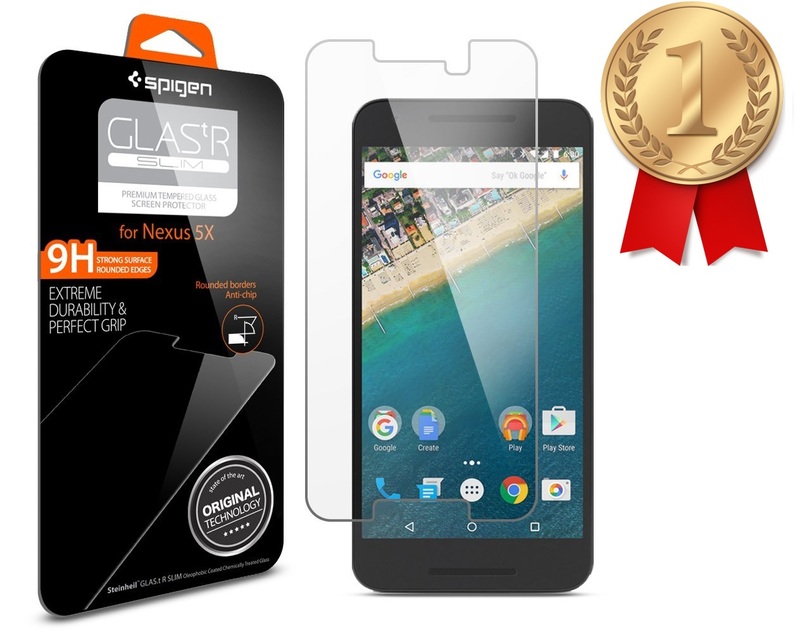 Lastly I tested the Maxboost Nexus 5X Tempered Glass Screen Protector. It is also listed on Amazon at $7.99 (down from $29.99). The screen protector came in some solid packaging with everything you need to get the screen protector applied correctly. It came with the screen protector in a protective foam sleeve, a warranty registration card, a card providing you a link to go to for application directions, wet and dry wipes for cleaning the screen and a dust removal sticker. The one thing included in the package that set this apart from the others was the included “guide stickers”. The stickers are little strips of tape that you use to make sure you get the screen protector perfectly aligned (you really only need one but they give you three). You apply the stickers to the screen protector and then, without removing the adhesive backing, line it up on your device and apply the other end of the sticker to your device. Once the alignment is perfect you fold the protector over, peel off the adhesive back and then apply it to the device. Using these guide stickers I was able to apply the screen protector with a perfect alignment on my first try! Maxboost gets thumbs up for this inclusion! Applying the protector was super easy and painless. It went right on and needed very little coaxing from me to get a solid seal. There were one or two minor bubbles I had to push out, but nothing like what you would see with a softer screen protector. Although it didn’t last as long as the Spigen it still did remarkably well and after both my daughter and I tested it out there were barely any smudges or marks on the screen. The Maxboost got lucky though as my daughter didn’t decide to use it as a Kleenex like she did with the Spigen. When testing the scratch resistance there were no issues here either. Both the Maxboost and Spigen held up perfectly. Summary – We Have a Winner! After all the battery of tests and swapping of screen protectors back and forth I decided on a winner. It was a tough competition between the Spigen and Maxboost but in the end the Spigen takes home the gold. 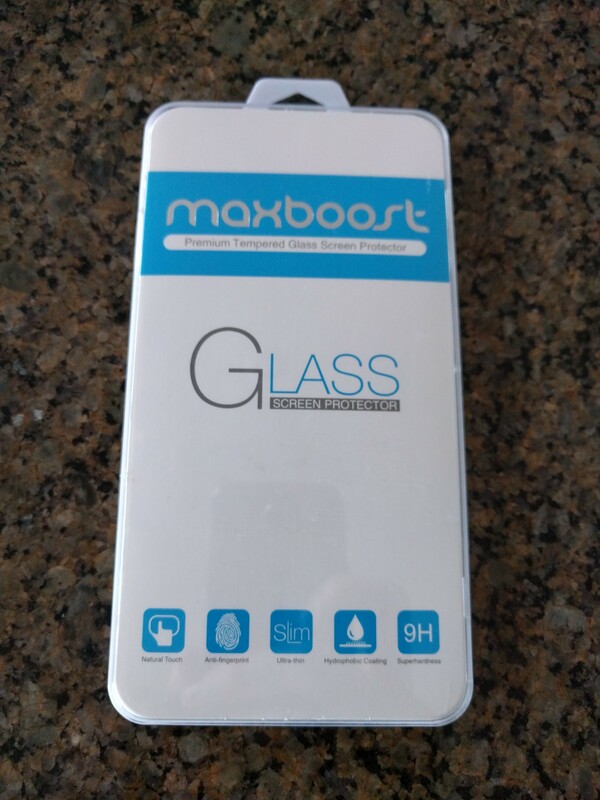 The Maxboost was also an awesome screen protector and I was leaning towards it but in the end I decided that as much as I loved the guide stickers they weren’t enough to award them the gold medal. Ultimately I decided on the Spigen as the winner because the screen seemed to hold up just a teensy bit more than the Maxboost when it came to fingerprints. I hate having to clean my screen and now I won’t have to as often as I did before. If you have a Nexus 5X you can try these out for yourself by ordering them from Amazon at the links below. This was a fun little review for me and I can’t wait to do some more like this here soon!